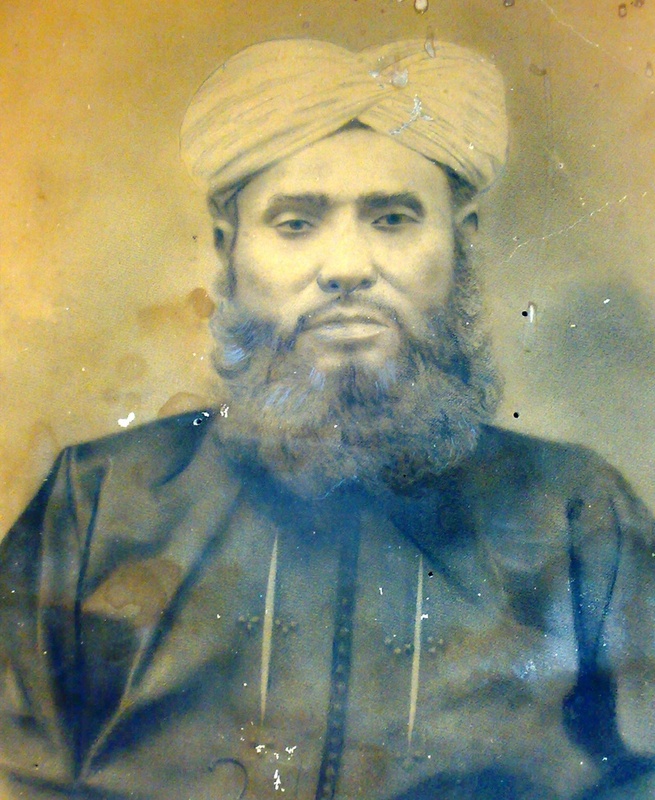 Nawab Mohammed Abdul Quader (died in 1943, Picture) was the Nawab of Kholapur (a village, PIN Code: 444802, in Amraoti District, Maharashtra, Map to Kholapur). 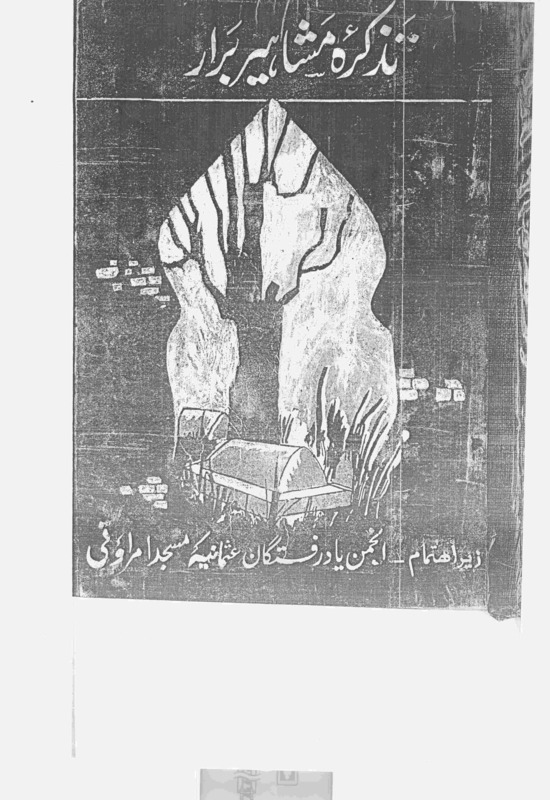 He was the younger son of Nawab Mohammed Abdul Ghani Saheb Saudagar (died in 1897, 1315 Hijri, Picture). The Father & Son were very progressive and were involved in numerous developmental activities. They established a Madrasa (School of Oriental Studies, Persian, Arabic and Islamic Studies) and a Masjid (Mosque); High School for Boys and a Separate High School for Girls. They also established a Hospital and the Post Office (Pin Code: 444802). All these have grown over time and even today are the principal institutions of the region. Nawab Mohammed Abdul Quader being very fond of education, sent two of his sons to Aligarh Muslim University (AMU, Logo), ALIGARH. The distance and the logistics were a big hinderence. It was a long distance and the trip used to be in several legs consisting of buses and trains. 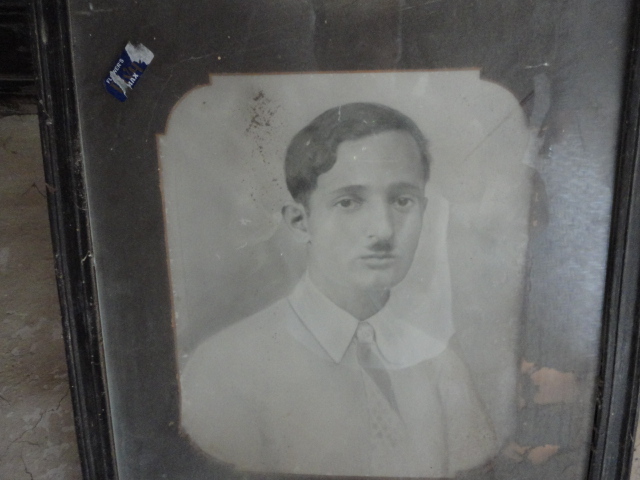 The eldest son, Nawab Abdul Huq (Picture) completed the High School from Aligarh. Nawab Mohammed Abdul Quader had the privilege to meet the legendry Urdu Poet, Allama Iqbal during one of his several visits to the Aligarh Muslim University (AMU, Logo). 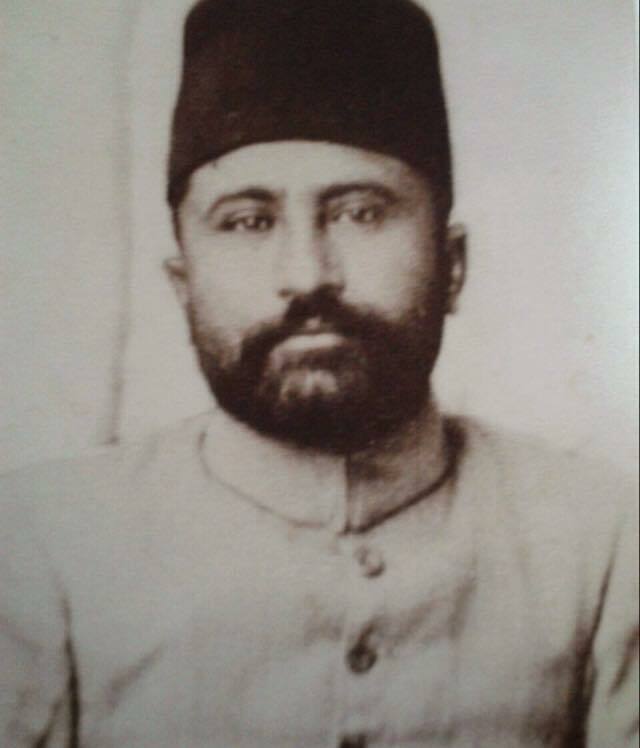 His elder brother was Nawab Mohammed Abdul Samad (died in 1942, Picture). Nawab Mohammed Abdul Quader married Mohammadi Begum. They were blessed with four sons and four daughters. They are in order: Khurshid Begum (died in December 1994), Bilquis Begum (died in 1995), Abdul Huq (Picture, died in September 1985), Abdul Khaliq (Picture-1 and Picture-2, died on Saturday the 19 November 2011, 23 Zilhijjah 1432), Abdul Jaleel (died in June 1998), Akhtar Begum (died in July 2005), Abdul Rafeeq Zafar (Picture-1 and Picture-2, died in July 2011) and Nighat Iqbal Khan (alias Khadija, Picture, died on Saturday the 23 May 2009, 29 Jumadi-al-Awwal 1430). The eldest son, Nawab Abdul Huq (Picture) completed the High School from the School maintained and run by the Aligarh Muslim University (AMU, Logo), ALIGARH. Nawab Abdul Huq died in September 1985, in Akodia, in the (Shajapur District of Madhya Pradesh). Abdul Khaliq was blessed with one son Abdul Samad Zia (Picture) and one daughter Razia Begum (Picture). 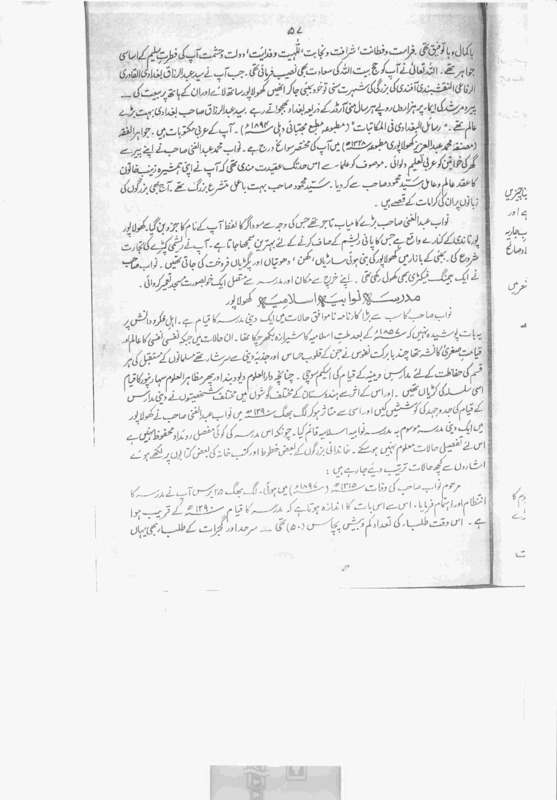 Abdul Samad Zia is married to Nazish. 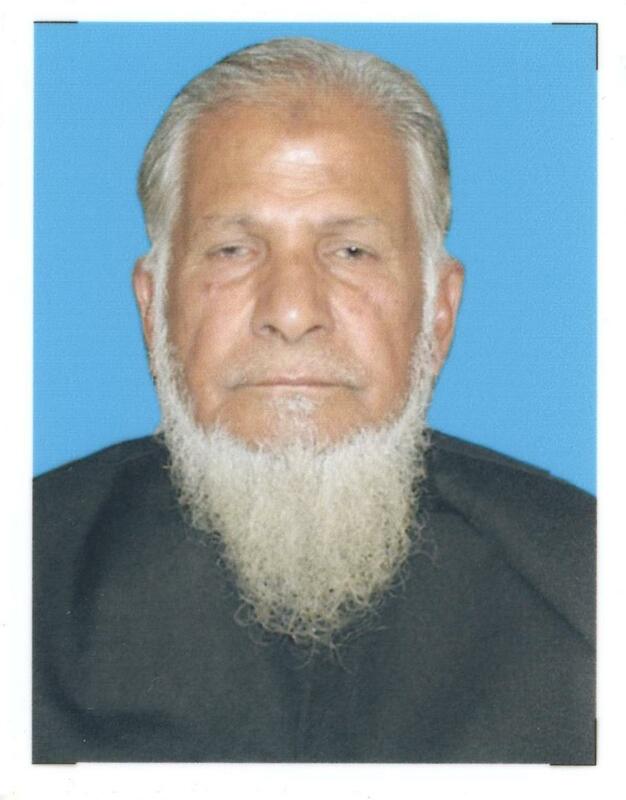 They are blessed with two sons: Abdul Ghani (Picture) and Umair (Picture); and one daughter: Maseera. 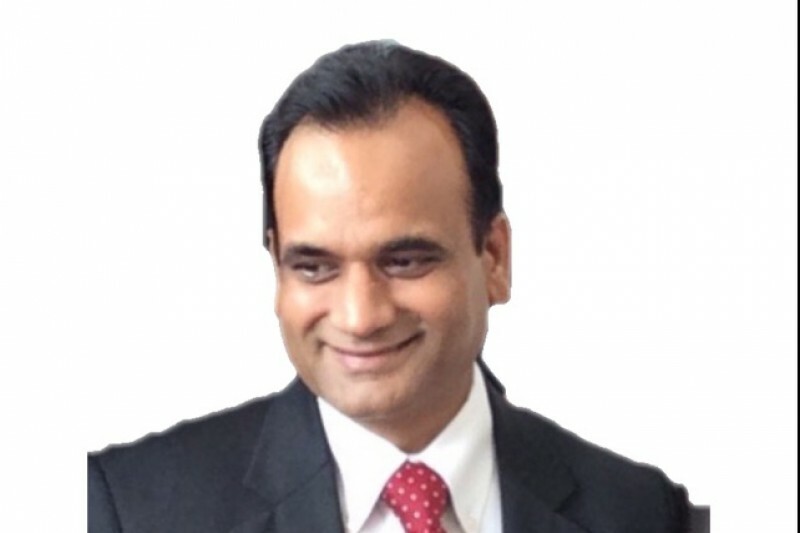 Maseera is married to Dr. Irshad Ahmed (Picture), who comes from a family of academicians. Irshad's elder brother Niyaz Ahmed received the 2016 Shanti Swarup Bhatnagar Prize for Medical Sciences. 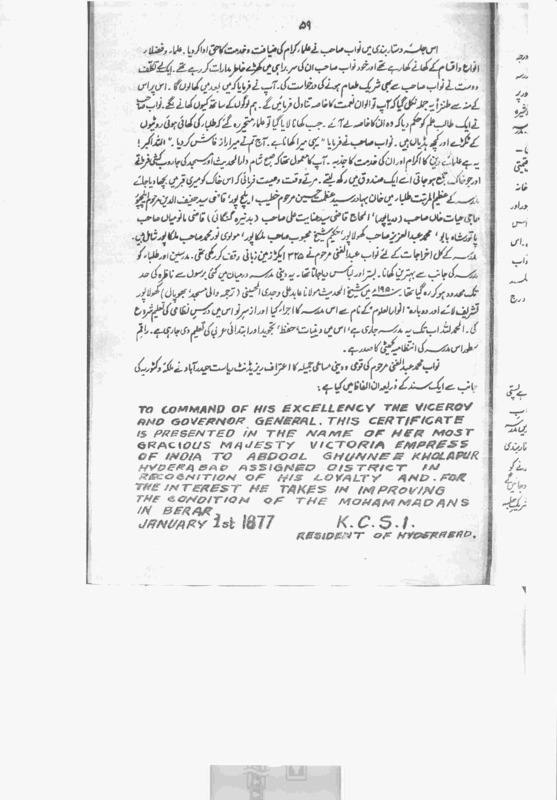 Razia Begum (Picture) is married to Syed Natiquddin Khatib (Picture). 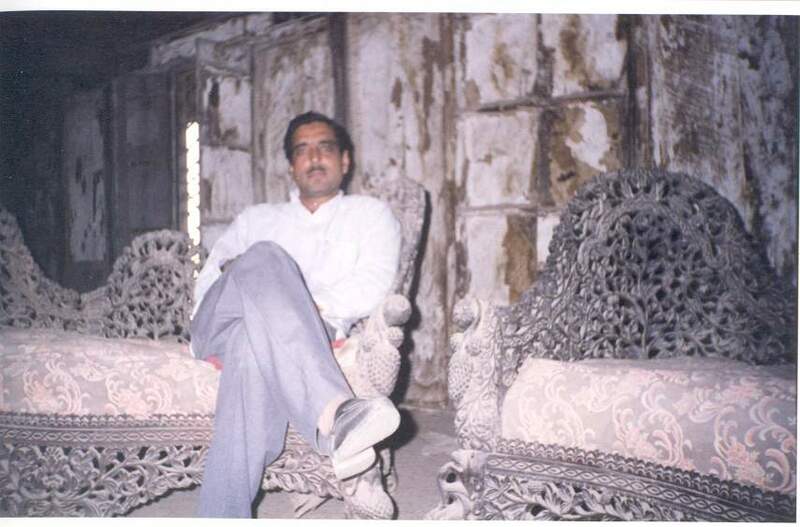 Syed Natiquddin Khatib (Picture) served as the MLC (Member of Legislative Council) as a candidate of the Indian National Congress, during 2000-2006 from Balapur in Akola District, Maharashtra. Razia Begum (Picture) and Natiquddin Khatib (Picture) are blessed with a daughter, Sadia and son, Syed Ainuddin Khatib (Picture). Syed Ainuddin Khatib (Picture) served as the President of Balapur Municipal Council. 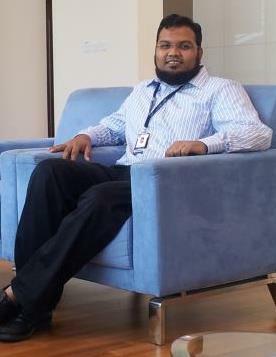 Syed Ainuddin Khatib (Picture) is also actively involved with the activities of the Indian Youth Congress (IYC). Abdul Jaleel was blessed with one daughter, Nazish Begum. She is married to Abdul Samad Zia (Picture). 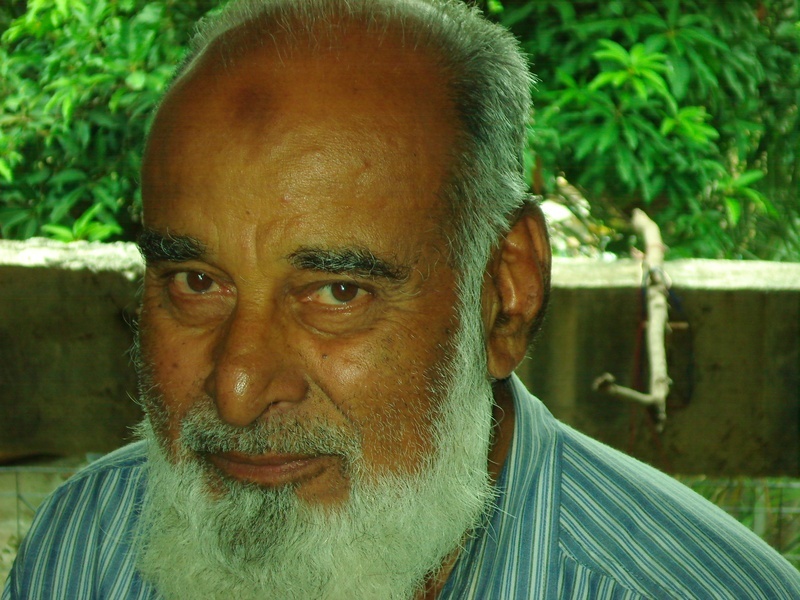 They are blessed with two sons: Abdul Ghani (Picture) and Umair (Picture); and one daughter: Maseera. 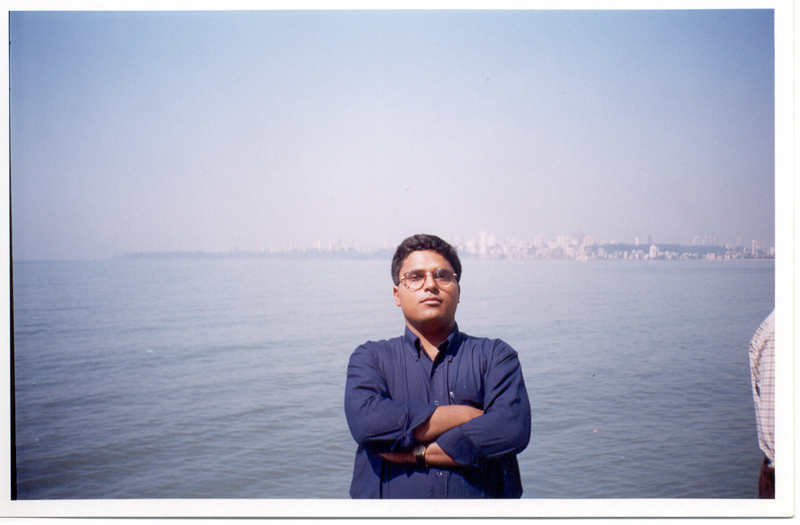 Maseera is married to Dr. Irshad Ahmed (Picture). Nawab Mohammed Abdul Quader's youngest son, Nawab Abdul Rafeeq Zafar (Picture-1 and Picture-2, died in July 2011) deserves a special mention. He was the youngest son of Nawab Mohammed Abdul Quader (died in 1943, Picture). 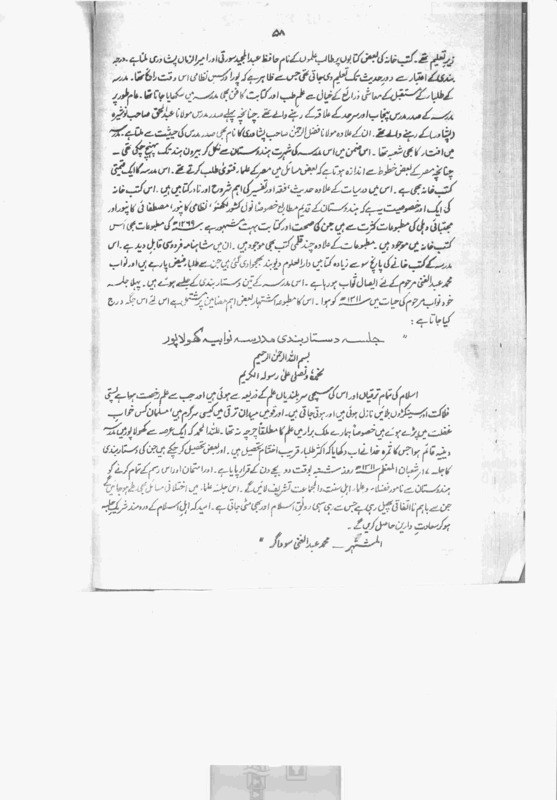 Nawab Abdul Rafeeq Zafar did PhD in 1955, in Osmania University (OU, Logo), Hyderabad. 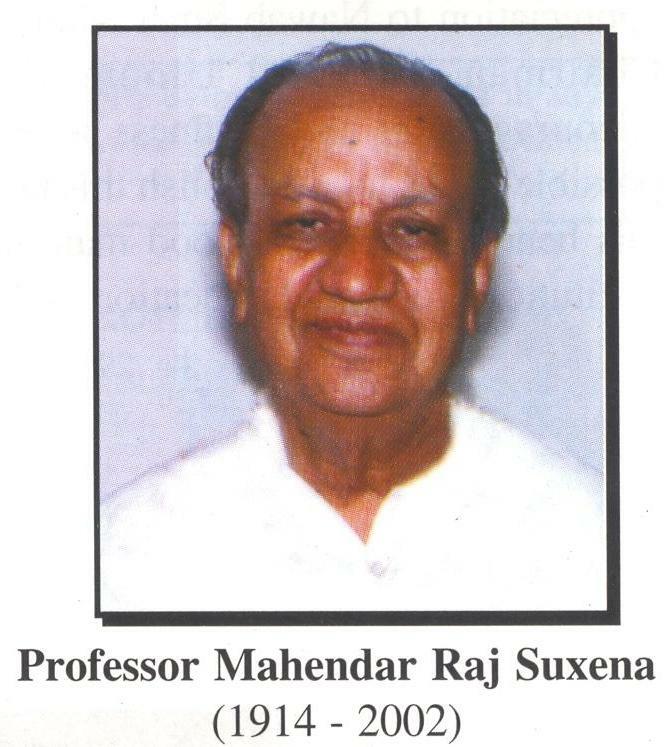 The PhD of Nawab Abdul Rafeeq Zafar was under the supervision of renowned Phycologist & Ecologist, Professor Mahendar Raj Suxena (Picture). He was the first person from the progeny of Nawab Mohammed Abdul Ghani Saheb Saudagar (Picture) not only to do PhD, but the first one to go to College. Professor Dr. A R Zafar retired as the Head of the Department of Botany, in 1986. Abdul Rafeeq Zafar (Picture-1 and Picture-2, died in July 2011) had cancer with metastasis (including: liver, portal vain, gall-bladder and lungs). He died at 6:53 on the morning of Sunday the 17 July 2011 (14 Shabaan 1432) at his residence in Banjara Hills, Hyderabad. When he breathed his last, his wife, niece Bushra Khan, nephew, Sameen Ahmed Khan (Picture) and his wife, Noama Khan (Picture) were present by his side. The Salaat-ut-Janaza (Funeral Prayers) took place after Maghrib, at Masjid Rahmat-e-Alam, Road No. 11, Banjara Hills, Hyderabad. The Salaat-ut-Janaza was conducted by Professor Shahid Ali Abbasi (Picture), who is Professor in the Department of Islamic Studies, University College of Arts & Social Sciences, Osmania University (OU, Logo). 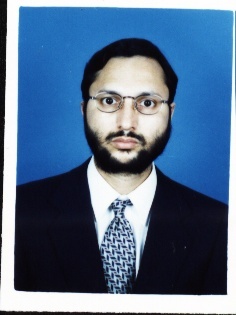 Professor Shahid Ali Abbasi is also the Rector of the Centre for Islamic Education (Logo), Hyderabad. Professor Abdul Rafeeq Zafar was laid to rest on the same evening in the Qabrastan/Makbara (Graveyard) attached to the Masjid Hazrat-e-Bilal, Habshiguda, Hyderabad, (see the Map). Khurshid Begum was married to Syed Iqbal Ilyas (died in May 1990). 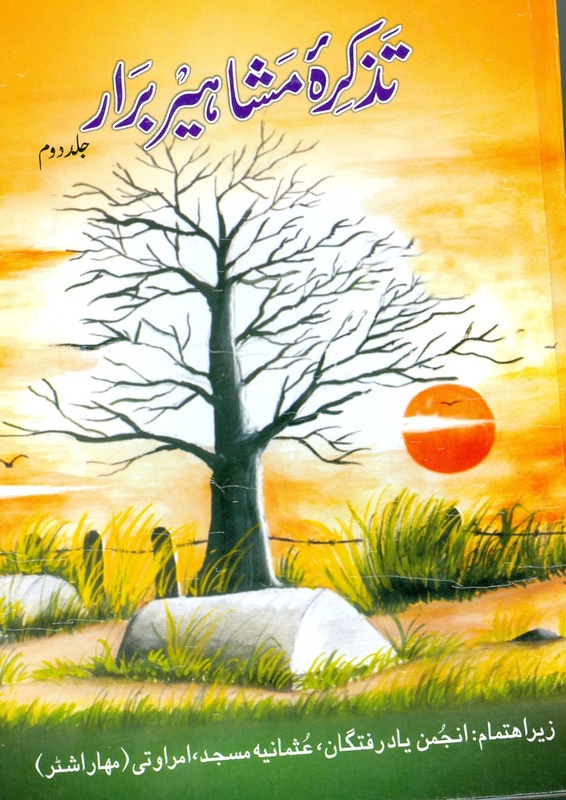 They had two sons: Syed Iqbal Ilyas (alias Mohsin) and Syed Fazal Ilyas (alias Shaheen); and three daughters: Farhat Ilyas (alias Ranu), Nusrat Ilyas (alias Shahzadi, died in 1998), and Shaukat Ilyas (alias Naushaba). Syed Iqbal Ilyas married Rafat Gilani, daughter of Professor Mazhar Ahsan Gilani (Professor of Economics) and the niece of the renowned Islamic Scholar, Manazir Ahsan Gilani. Both were professors at Osmania University (OU, Logo), Hyderabad. Rafat Gilani's younger brother, Khurshid Ahsan Gilani is an accomplished Cricketer and plays for the Andhra Bank (Logo). 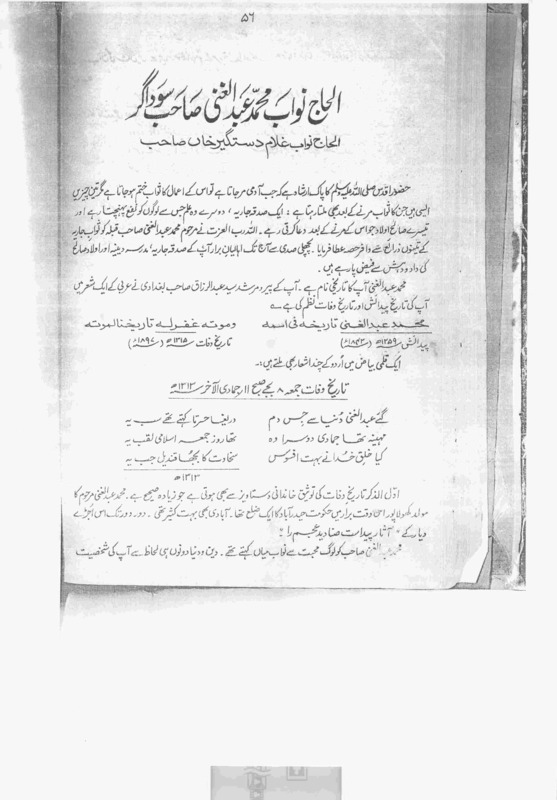 Syed Fazal Ilyas married Zubaida. All the three daughters were married to doctors. Farhat Ilyas married Dr. Abdul Qayyum Khan, from Jhansi. Nusrat Ilyas married Dr. Shujauddin Najmuddin Khatib from Mumbai, now settled in Lincoln, UK. Shaukat Ilyas married Dr. Arif Hanif from Aligarh. 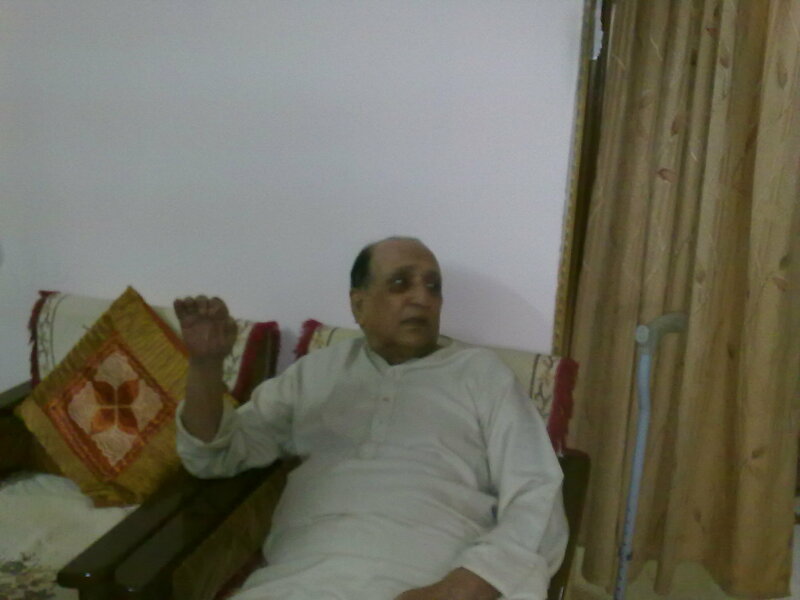 Shaukat Arif Hanif is professor of Forensic in Aligarh Muslim University (AMU, Logo), Aligarh. 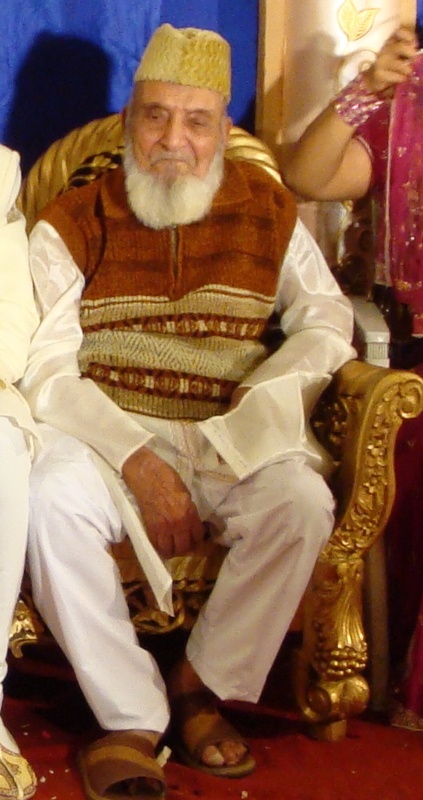 Dr. Arif Hanif died on Tuesday the 28 May 2013 (18 Rajab 1434). Bilquis Begum was married to Yusuf Ahmed Khan, the Patel of Pedi, in Pusad, Taluka, in the Yavatmal District, Maharashtra, India. They had seven sons: Mushtaq Ahmed Khan, Ashwaq Ahmed Khan, Shayaq Ahmed Khan, Nazi Ahmed Khan, Siddique Ahmed Khan, Jameel Ahmed Khan, and Farooq Ahmed Khan; and one daughter Shahnaz Khanam. Shahnaz Khanam was married to Syed Farookh Hussain Khatib (alias Humayun, died in 2000), who was the son of Dr. Syed Mahmood Hussain Khatib. 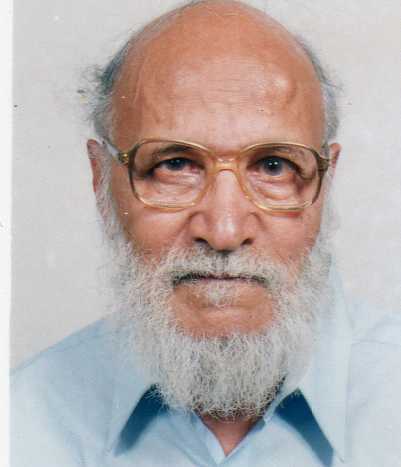 Professor Syed Mahmood Hussain Khatib was a renowned zoologist and the head of the Department of Zoology at Nagpur University (Logo), Nagpur. Ashwaq Ahmed Khan married the renowned Urdu writer, Wajida Tabassum (Picture). Wajida Tabassum was the grand-daughter of the sister of Nawab Mohammed Abdul Quader. She died on Tuesday the 07 December 2010 (01 Muharram 1432) in Mumbai/Bombay. Shayaq Ahmed Khan is blessed with one son, Salman Ahmed Khan and two daughters. 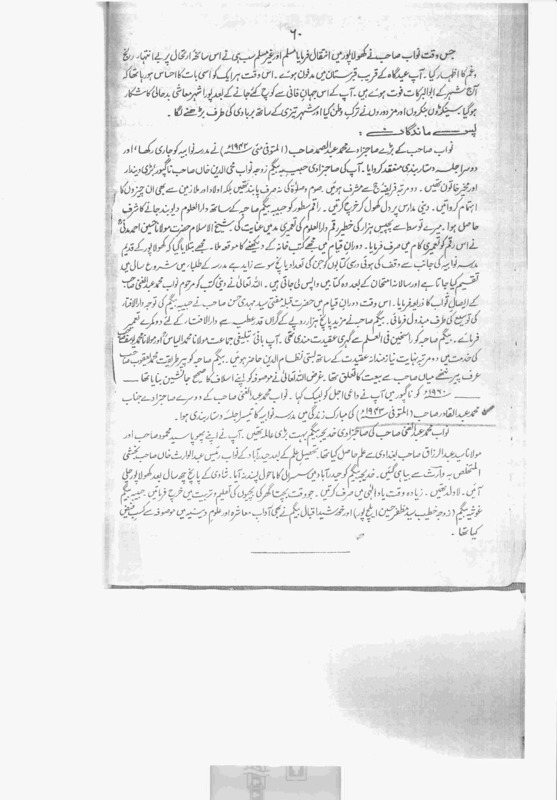 Akhtar Begum was married to Muzammil Ahmed Khan. They had one son Humayun Ahmed Khan and two daughters: Shahla Khanam and Ghazala Khanam (alias Shunnu). Nawab Mohammed Abdul Quader's youngest daughter, Nighat Iqbal Khan (alias Khadija, Picture, died in May 2009) married Hamid Ahmed KHAN (Picture, died in July 2009) the third son of Badrunnisa Begum and Ghulam Mohammed Khan Saudagar (died in 1943, Picture) of Aurangabad. Nighat Iqbal Khan and Hamid Ahmed KHAN were blessed with three sons and two daughters. They are in order: Mohammed Ahmed Khan (Picture), Farooq Ahmed Khan (Picture), Sameen Ahmed Khan (Picture), Ayesha Khan and Bushra Khan. Farooq Ahmed Khan (Picture) is married to Ghazia Asif Khan of Rampur. Ghazia Asif Khan did PhD in Chemistry from the Aligarh Muslim University (AMU, Logo), ALIGARH. Dr. Ghazia Asif Khan is now an Instructor at the Department of Human Genetics (Logo), Emory University (Logo), Atlanta, Georgia, USA. They are blessed with two daughters: Sara Khan and Alisha Khan. Ayesha Khan did BA in English from Osmania University (OU, Logo), Hyderabad. Ayesha Khan is married to Akhlaque Mohammed Khan the eldest son of Iqbal Mohammed Khan (Picture). 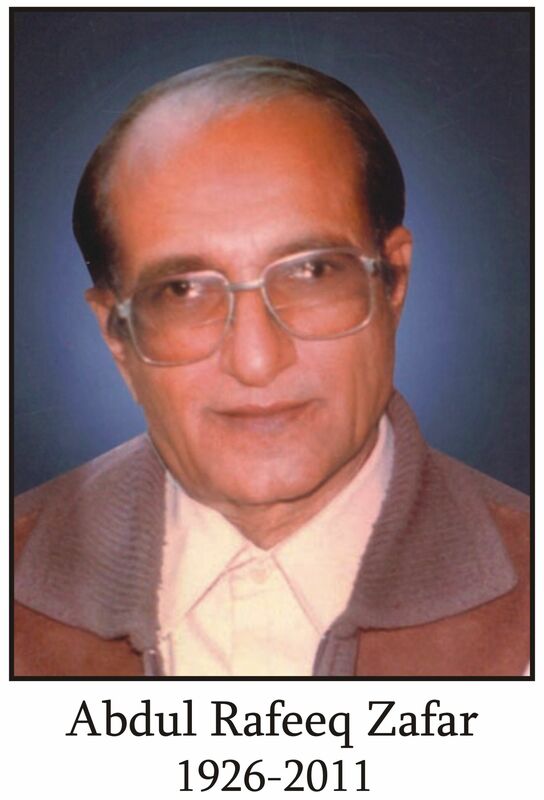 Akhlaq Mohammed Khan did Electrical Engineering from Babasaheb Ambedkar Marathwada University (Logo), Aurangabad. 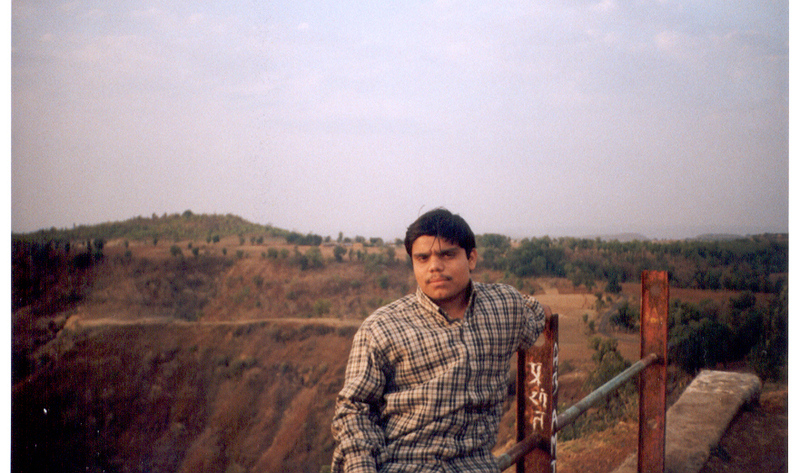 He started his carrier at Maharashtra State Electricity Board. He is currently in UAE. Ayesha Khan and Akhlaque Mohammed Khan are blessed with one son Ikhlas Mohammad Khan (Picture-1 and Picture-2), and two daughters Fatima Khan and Aaliya Khan. 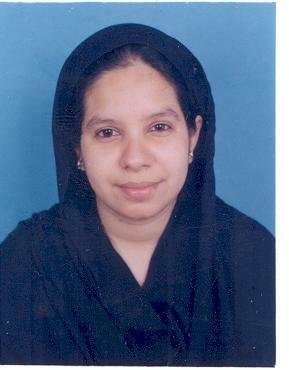 Bushra Khan did MSc in Physics from the Anwarul Uloom College, (Logo), Hyderabad. Bushra Khan started her teaching carrier at Shadan Degree College for Women (Logo), Hyderabad. Both the colleges are affiliated to Osmania University (OU, Logo), Hyderabad. Bushra Khan is married to Dr. Shamsuddin Shaikh (Picture). 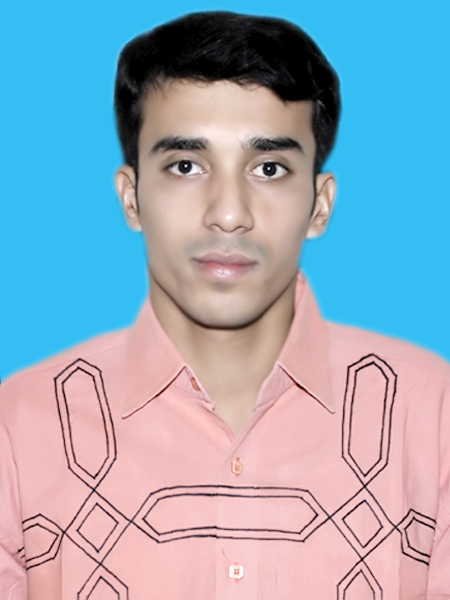 Shamsuddin Shaikh did PhD in Chemistry under Professor Badar Taqui Khan, at Osmania University (OU, Logo), Hyderabad. Shamsuddin Shaikh did research in cancer (the rational design, synthesis, delivery, and targeting of novel, non-cross-resistant platinum antitumor drugs) at the renowned MD Anderson Cancer Center (Logo), Houston, Texas, USA. Shamsuddin Shaikh is a Professor of Chemistry at the Houston Community College System (Logo), Houston. Bushra Khan is now teaching Mathematics in the Mathematics Department of the Stephen F. Austin High School (Logo), Houston. Bushra Khan and Shamsuddin Shaikh are blessed with one daughter, Sana Shaikh and one son, Ahmed Shaikh. Dr. Shamsuddin Shaikh (Picture and Resume) died on Friday the 06 November 2015 (23 Muharram 1437) in his home in Houston. (The Audio of the Funeral Sevice). He was laid to rest at the Forest Lawn Cemetery. Nighat Iqbal Khan's youngest son Sameen Ahmed Khan (Picture) married Noama Khan (Picture) the youngest daughter of Amirunnisa Begum, (alias Mahjabeen, Picture) and Nawab Nasiruddin Khan (alias Altaf, Picture, died on Friday the 14 December 2012, 29th Muharram 1434) of Khujji. Noama Khan did MA in English Literature from Morris College (Ambedkar College), Nagpur University (Logo), Nagpur. The wedding of Noama KHAN (Picture) and Sameen Ahmed Khan (Picture) took place on Thursday the 22 February 2001 (27th Ziquad 1421 Hijri) in Nagpur; they were blessed with a daughter Hajira KHAN (Picture), on Sunday the 07 November 2004 (23 Ramadan-ul-Mubarak 1425). Hajira KHAN (Picture) is studying in the Indian School Salalah (Logo), Salalah, Sultanate of Oman (National Emblem). The School is affiliated to the Central Board of Secondary Education (Logo), Delhi, INDIA (National Emblem); Affiliation Number: 6130002. Nighat Iqbal Khan had a medically challenging time. During the 1950's it took the Medical World (spread out in several cities) three long years to figure out the cause of the severe and chronic abdominal pain: Appendicitis. Nighat Iqbal Khan completely recovered from breast cancer in 2006. 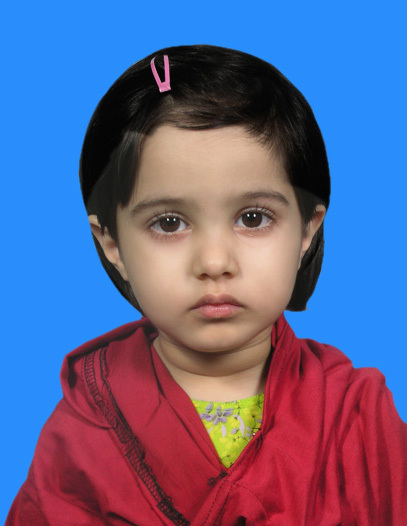 She was operated and treated by Dr. Kamran Ahmed Khan (Picture) at the Raheja Hospital, Mumbai (Bombay), INDIA. Kamran A Khan (Picture) is an accomplished Surgical Oncologist. It is to be noted that Kamran Khan is the son of Aijaz Ahmed Khan, the younger brother of Hamid Ahmed KHAN. She recovered completely from the Nuclear Grade 2 breast cancer. In the last seventeen months of her life she was hospitalized seven times in the Sultan Qaboos Hospital, Salalah, Sultanate of Oman. This was for her weak heart condition. The last month of her life she was semi-conscious and was fed by the Gastro Nasal Tube, Sultan Qaboos Hospital. She breathed her last on 7:12 PM just after Maghrib (sunset) on Saturday the 23 May 2009 (29 Jumadi-al-Awwal 1430, had just begun) with her son, Farooq Ahmed Khan (alias Zaki) by her side. The end was smooth without any medical interventions (respirators, ventilators, lung machines etc.). On Monday the 25 May 2009 (30 Jumadi-al-Awwal 1430), she was laid to rest in the Qabrastan/Makbara (Graveyard) close to the Masjid Zaweyah (see the Map) on the 23 July Street of Salalah. 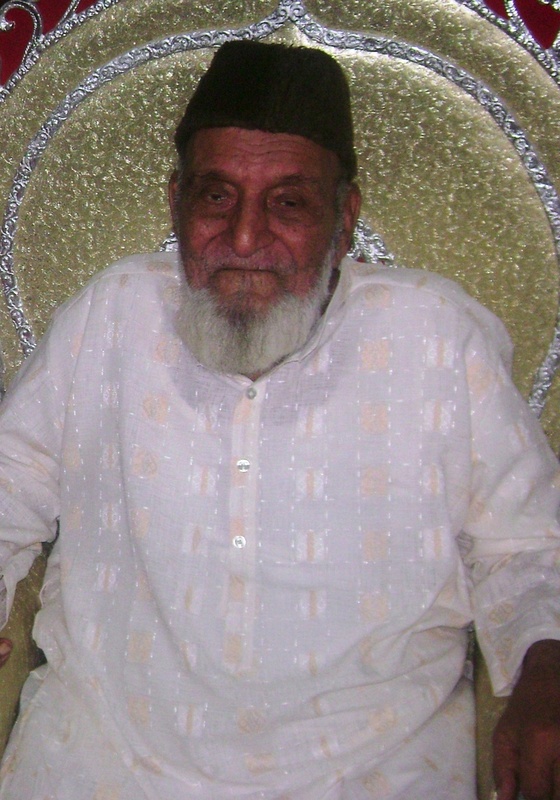 Hamid Ahmed KHAN died on Monday the 6 July 2009 (13 Rajab 1430), Sultan Qaboos Hospital, Salalah, Sultanate of Oman. 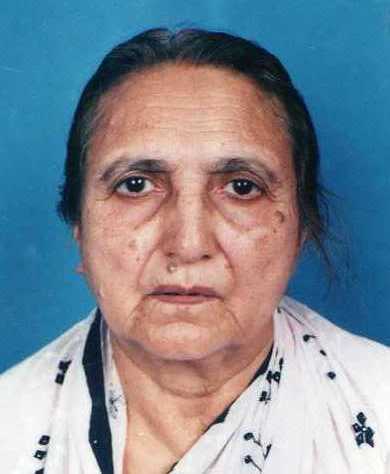 Hamid Ahmed KHAN died forty-four days after the death of his wife, Nighat Iqbal Khan (alias Khadija, Picture). He was laid to rest on Wednesday the 8 July 2009 (16 Rajab 1430, had just begun), in the Qabrastan/Makbara (Graveyard) close to the Masjid Zaweyah (see the Map) on the 23 July Street of Salalah. Nawab Mohammed Abdul Quader died in 1943, in Akodia in the (Shajapur District of Madhya Pradesh). He was on a visit to look after his estate in Akodia (Map to Akodia). 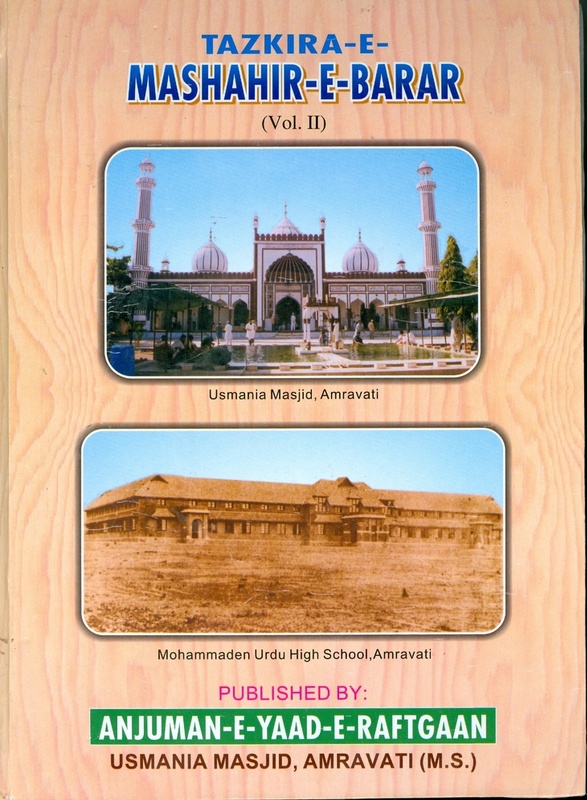 Anjuman-E-Yaad-E-Raftagaan, Usmani Masjid, Amravati 444103, Maharashtra, INDIA. * View the Front Cover Page, Back Cover Page and the Jacket. * View Page-56, Page-57, Page-58, Page-59 and Page-60. 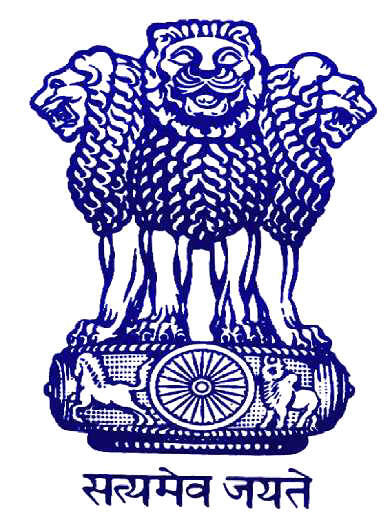 The Wikipedia, the Free Encyclopedia (Logo): http://en.wikipedia.org/wiki/Abdul_Ghani_Saheb_Saudagar. Thanks for your visit. You are visitor no. © Last updated Friday, the 06 November 2015 (23 Muharram 1437).